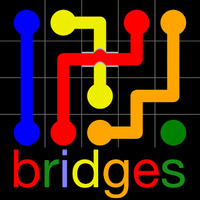 "A fun puzzle game to connect matching colors of pipes"
Game Goal: In Flow Free: Bridges, you must connect all the dots of the same color, forming tubes without leaving any empty space. How to play: You must analyze the board to find a way to connect all the dots without crossing pipes and fill all the spaces. Graphics: The images are very colorful, but simple and without any special appeal. Controls: Slide your finger on the screen to create connecting tubes between the points. Content Classification: Recommended for all ages, and especially for casual players who enjoy puzzle games. 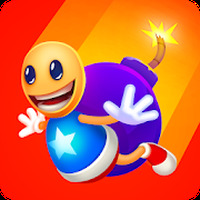 Developer: Big Duck Games LLC is based in United States	- High-ranked developer. 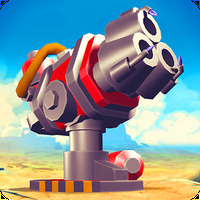 Ranking: The TOP 10 Most downloaded games in Maze Game category. In total, there are over 900 challenges. You have to pay to get access to all levels. Do you like Flow Free: Bridges?